There is brunch. Then there is brunch in Melbourne. 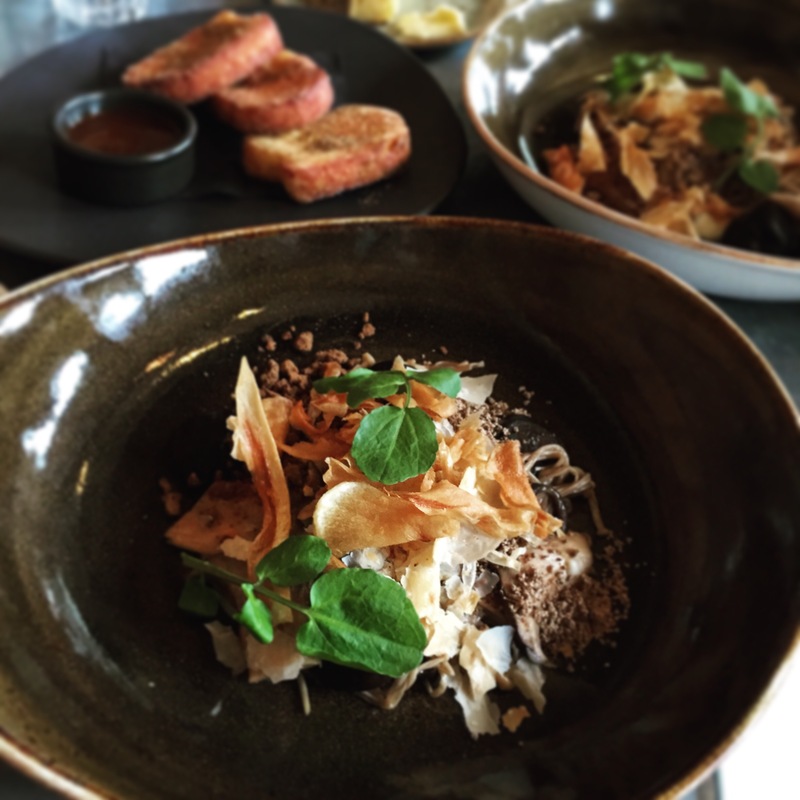 And then in Melbourne, there is amazing brunch… and then there is life-changing brunch. And Hammer and Tong ticks the second box. Hammer and Tong is somewhere I have walked past a million times in my food and drink adventures on Brunswick St. Every time I would think to myself, “I must go there soon.” And then I saw a post on Instagram of their Kentucky Fried Haloumi Chips… and I was there that same weekend. Haloumi is incredible enough as it is, but to roll it in spices and fry it? Genius! I took my good friend who I have been friends with since high school, who is always so happy to come along and try new places with me. 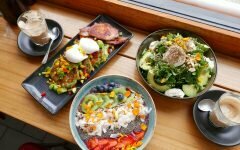 We live in the North-eastern suburbs, so Fitzroy can be a hike for a Saturday brunch date, but she trusts my foodie investigative skills and we both knew we were in for a pretty delicious brunch. There was a slight line at the door as we walked in, but we chatted and checked out the food on the tables near the door whilst we waited and the ten minutes or so very quickly passed. The cafe, though bustling and packed with brunch-ers, had a homely feel to it. Light filled, and decorated with neutral colours and plants, it felt fresh and clean and airy even though it was holding a full house. Menu deliberation was hard. Really hard. Everything sounded so good. 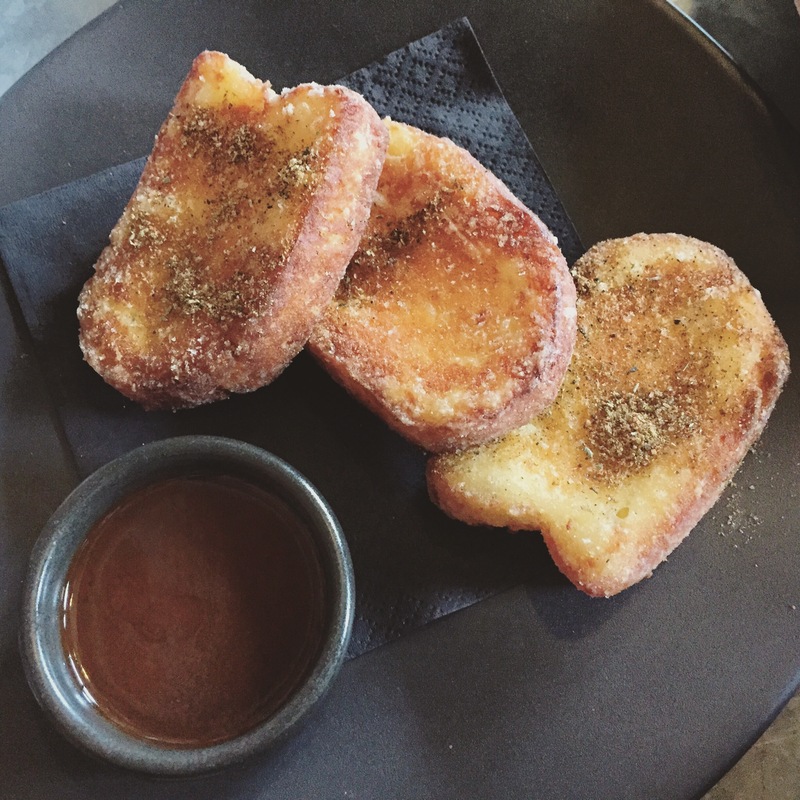 No doubt any dedicated Melbourne foodie has salivated over the Pollywaffle on social media and it was oh so tempting, but I am not much of a sweet-tooth at breakfast time, so a more savoury dish won me over. 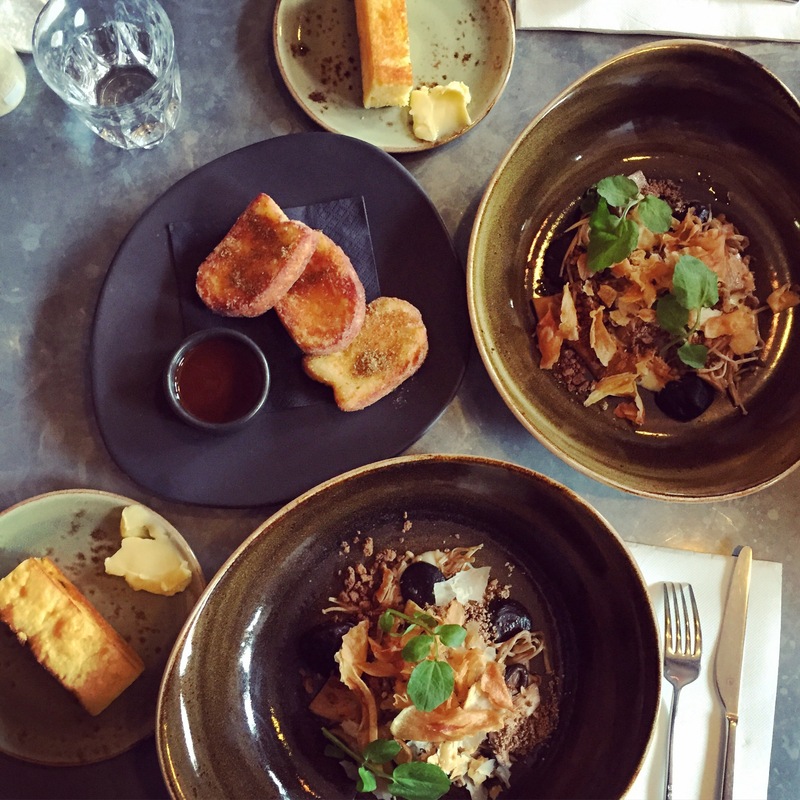 My friend and I both ordered the braised wild mushrooms with a 62 degree hens egg, coffee crumb, parsnip and corn bread. This dish was HEAVEN. It was everything you look for in a Melbourne brunch= gorgeous presentation, interesting flavours, quality ingredients. It was art on a plate that tasted absolutely delightful, and we may have discussed this for about 15 minutes after we stopped eating we were so impressed. Coupled with a latte or two and a serve of the amazing Kentucky fried haloumi chips (they were everything they promised to be) and we left Hammer and Tong very happy little brunch-ers. I often talk about there being so many amazing places in Melbourne to eat at (particularly brunch, gosh we kill it at brunch) that I hate going to the same place twice. But Hammer and Tong, you will lure me back for sure. This looks INCREDIBLE, will definitely be trying it out! 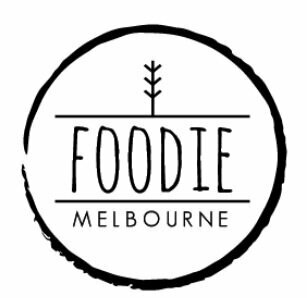 Have a look at my blog for more Melbourne places !